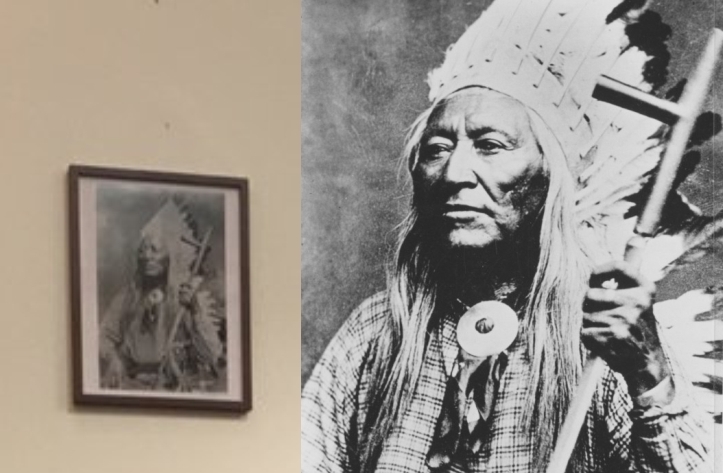 A Wyoming mayor’s decision to remove portraits of President and Vice President from the town hall and replace them with a picture of a Native American chief has some community members up in arms. “We aren’t required to display signs of respect ― our respect is earned, not demanded,” Muldoon said. 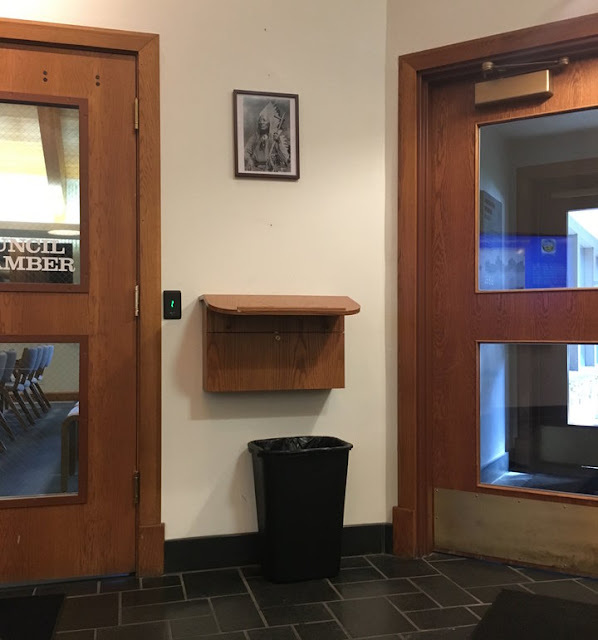 Councilman Jim Stanford said hanging portraits of the president and vice president in town hall isn’t a longstanding tradition, and only began in the early 2000s. “I’ve always found it a bit strange to have a portrait of the ‘supreme leader’ hanging in the town hall,” Stanford said. It was Stanford who suggested replacing the Trump and Pence portraits with an image of Chief Washakie, the leader of the local Shoshone Tribe in the mid-1800s. 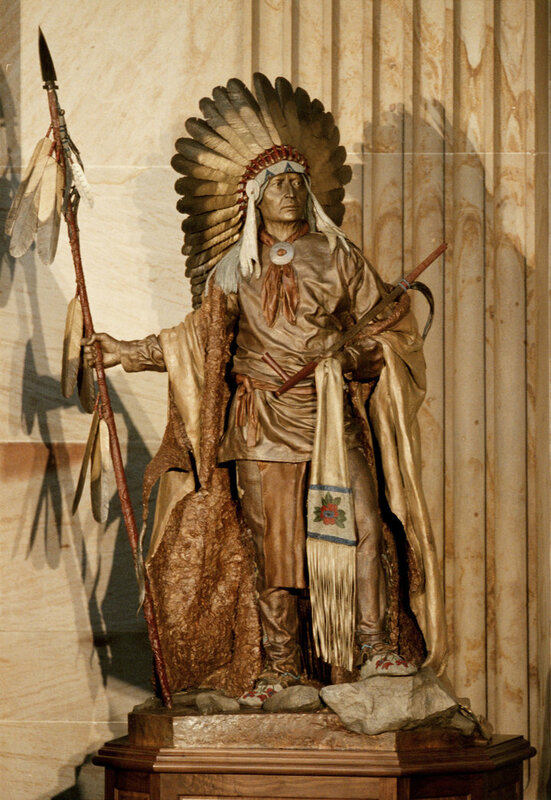 Washakie, who remains a well-known figure among many Jackson residents, brokered peace treaties and settlement deals between his tribe and the U.S. government. He became the only Native American chief to be given a full military funeral upon his death in 1900. Vogelheim said the town council could vote to override the mayor’s decision and that he hopes a petition Republican Party activists are circulating will encourage it to do so. Responses to "Wyoming Town Hall replaces Presidential portraits with photo of Native American Chief"
About time somebody did that.